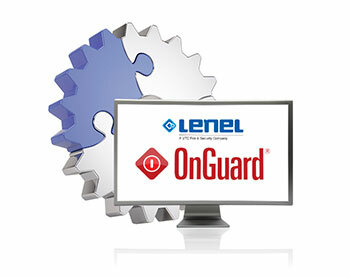 IndigoVision’s Lenel OnGuard Integration Module integrates with Lenel’s OnGuard® access control security system. IndigoVision today announced that it has received Lenel factory certification and joined the Lenel OpenAccess Alliance Program (OAAP). IndigoVision’s Lenel OnGuard Integration Module integrates with the OnGuard® access control system and is compatible for use with Lenel OnGuard versions 7.1, 7.2 and 7.3. “IndigoVision is delighted to have completed another factory certification on the latest version of the IndigoVision Lenel OnGuard Integration Module. Many IndigoVision customers use Lenel’s OnGuard access control security system and expect tight, seamless integration between Control Center and OnGuard. Our membership of the Lenel OpenAccess Alliance Program (OAAP) demonstrates our ongoing commitment to those customers.” states Alex Swanson, Head of Engineering at IndigoVision. To view information of this Integration, download the Integration Module Product Catalogue. Lenel and OnGuard are registered trademarks of UTC Fire & Security Americas Corporation, Inc. in the United States and/or other countries. previous post: IndigoVision’s new GX HD Pan/Tilt Minidome Camera. More camera than you bargained for. next post: The NEW IndigoVision BX Panoramic Camera is here!